Red Wine & Blue Summer Spritzer | Easy, delicious, and refreshing! 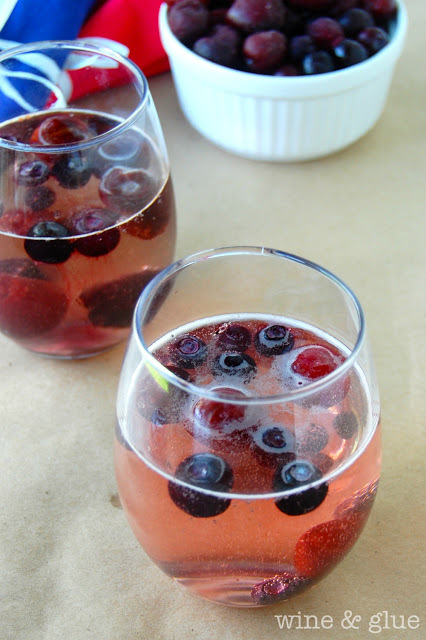 Perfect for a Fourth of July Party or any Summer BBQ. Okay, it really is Friday, but the summer might be pushing it. After a winter that stretched on for what seemed like years, I am ready for everything summer. And since I live in Wisconsin, where it is winter 10 months out of the year, I am going to enjoy it as soon as I can. I want BBQs with friends and picnics at the park. I want days at the beach and family bike rides. I want drippy popsicles and fireworks. I want parades and flip flops. And I want summer cocktails. This cocktail could not be easier. But it is also really delicious, and ends up so pretty. It’s perfect for summer BBQs and Fourth of July Parties. Maybe my favorite part? You can easily make 1 or 10. And it comes together as fast as you can crack open a bottle of wine. 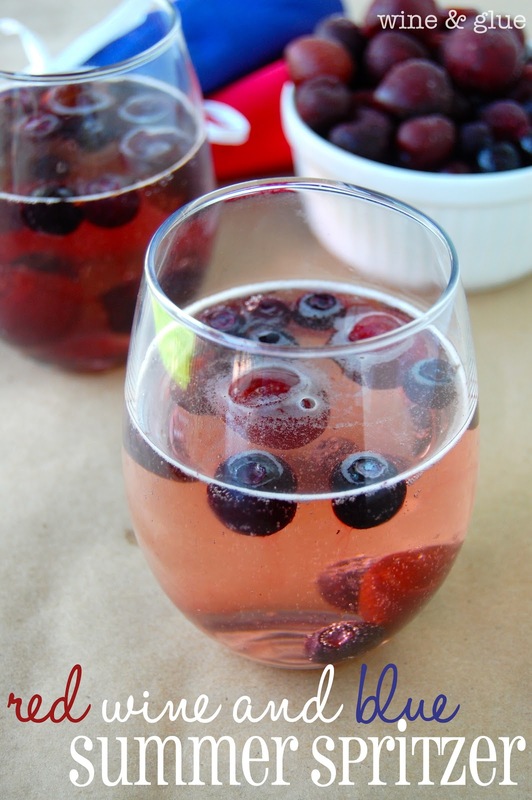 Looking for more wine & fruit combos? 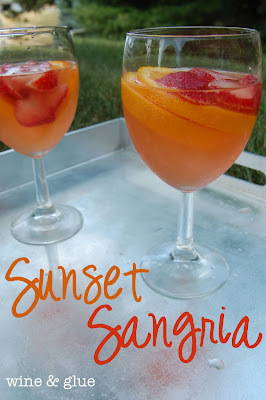 How about my Sunset Sangria? 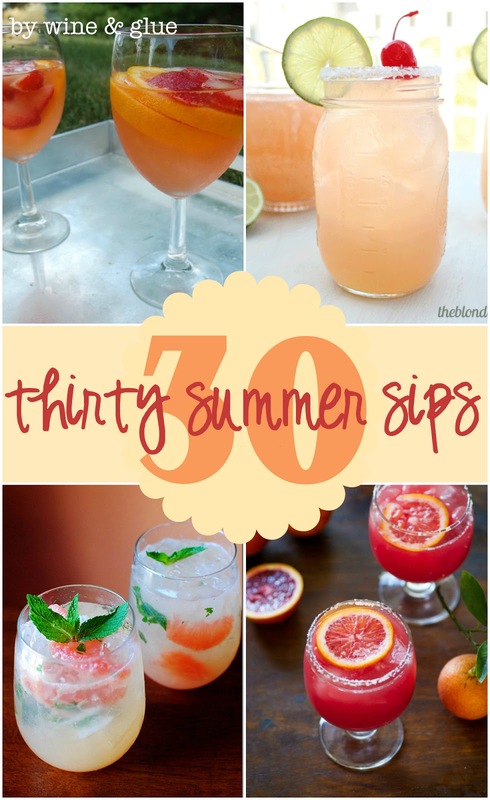 Want a whole bunch of Summer Cocktail Recipes? 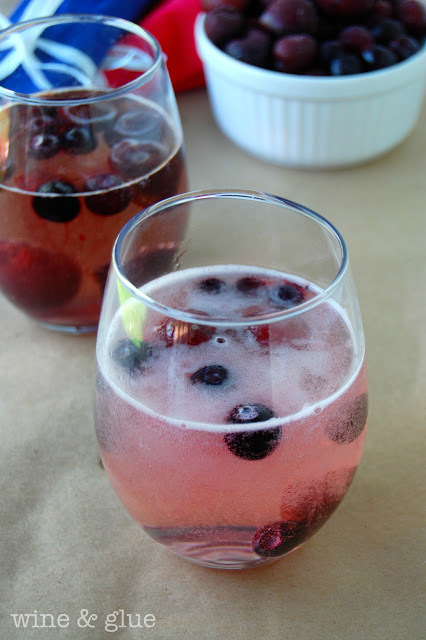 Looks so refreshing, spritzers are wonderful! I’ve never mixed wine and soda. OMG you’re kind of a genius and I am SO DOING THAT. Can’t wait to try another one of your cocktails! Yup… this will be happening within the next week. So simple, yet so elegant looking. Love it! Yum, this looks amazing, as always! And so festive too! I’m pinning this and trying it this summer for sure! Also, I’m stopping by to let you know I featured this on my blog today as part of a roundup of 25 Refreshing Summer Cocktails! Feel free to stop by and grab a Featured button if you’d like, and thanks again for the great recipe!